It was easy to spot the audiencia in the packed room at the Americas Society on the evening of Thursday, November 6. Nearly 100 people attended "In Search of the Audiencia: The Future of Spanish-Language Publishing in the United States," a panel discussion on the challenges involved in developing the market for Spanish-language books in the U.S. In spite of the current economic crisis, the long-term prospects for the Spanish-language publishing market in the U.S. remain strong. In particular, there is a sizable readership for Spanish-language fiction and nonfiction written by author residing within the U.S. Yet significant challenges remain in developing this market and in promoting authors and their work. Milena Alberti-Pérez, director of Spanish-language publishing at Vintage Español, emphasized the importance of understanding the audience's diversity (including readers of fiction, nonfiction and informative books for immigrants, as well as bilingual readers eager to read books in the Spanish-language original), while Cecilia Molinari, editor and managing editor at HarperCollins Publishers/Rayo, described a dramatic improvement in the situation over the past decade and said the publisher is now developing titles for every segment of the audience. Ignacio Dominguez, representing America Reads Spanish, said, in turn, there is great interest in keeping the Spanish language alive in the U.S. today, partly because the language is seen as a competitive advantage by many in the Hispanic community. Patricia Arancibia, editor and buyer for Libros en Español at Barnes & Noble, described the notion that the only thing that sells in Spanish is self-help books as “just false” and agreed with other panelists that the audience is broad and diverse. 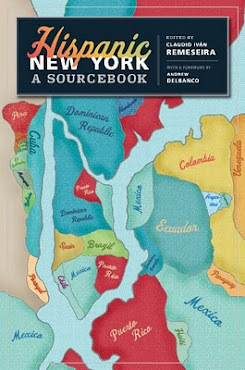 And Fernando Gubbins, editor-in-chief of Primera Revista Latinoamericana de Libros (PRL), pointed to New York City as a place for top-quality Hispanic publishing since the city, though located within the U.S., is also in important ways a part of Latin America. "In Search of the Audiencia: The Future of Spanish-Language Publishing in the United States" was co-organized by the Americas Society, as part of its Immigration and Writing in the Americas and Beyond series, and the Hispanic New York Project (HNYP), with additional collaboration by the Instituto Cervantes, and was possible thanks to the support of the New York State Council on the Arts, the New York City Department of Cultural Affairs, the Reed Foundation and Amalia Lacroze de Fortabat. The panel was moderated by HNYP director Claudio Iván Remeseira.